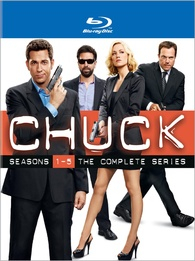 Plot Synopsis: Chuck Bartowski, ace computer geek at the BuyMore, is not in his right mind. That’s a good thing. Ever since he unwittingly downloaded stolen government secrets into his brain, action, excitement and a cool secret- agent girlfriend have entered his life. It’s a bad thing, too. Because now Chuck is in danger 24/7.